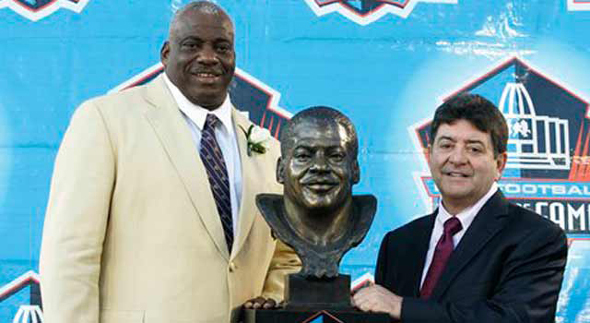 DeBartolo doesn’t have to compete with former players for enshrinement. He’s in this separate category and there is a likelihood he will get enough votes. We won’t count the chickens before they hatch, but all signs point to a very happy Eddie DeBartolo the night before the Super Bowl. I expect it. This entry was posted in Hall of Fame, NFL, San Francisco 49ers and tagged Eddie DeBartolo Jr.. Bookmark the permalink.